In the worst outbreak in nearly 20 years, mumps cases are spilling out of Iowa, popping up in at least seven other Midwestern states and perhaps seven more — leading to promises of extra vaccine from the U.S. stockpile. There are no deaths and few hospitalizations being reported from the disease, which health officials believe got a boost from air travel. But the nation's federal health agency said Wednesday it's the largest outbreak in almost two decades with more than 1,000 cases and it's expected to keep growing. It's a "cascade of transmission that's going to take a while to curtail and stop," said Dr. Julie Gerberding, director of the U.S. Centers for Disease Control and Prevention in Atlanta. More than 800 of the cases are in Iowa. The CDC has pledged to provide 25,000 doses of measles-mumps-rubella vaccine to the state from the agency's stockpile. And Merck & Co., the vaccine maker, is giving another 25,000 doses to the CDC for distribution to other states, Gerberding said in a briefing in Atlanta. Iowa, the mumps hot spot, is feeling the pain in some unexpected ways. When the track and field team from Loras College in Dubuque made the six-hour drive to St. Louis for a Washington University track meet, the runners were sent right back home. "Washington decided that because of the mumps they didn't want schools from Dubuque competing," said Tim Calderwood, Loras' sports information director. Dubuque is in northeast Iowa, one of the areas of the state hit hardest by the mumps. "We always have the health and safety of our athletes and of our competitors as our top priority," Calderwood said. He said none of the Loras athletes had mumps, and "we ask our opponents to trust our coaches and know that they would not bring a student who is showing symptoms of mumps to their school." Thirty-seven of the college's 1,700 students have caught mumps since the first case surfaced in February, according to the school's health clinic. Iowa public health officials say the outbreak of the annoying but rarely serious disease is no reason to cancel events or start widespread immunization clinics. "College graduation, high school proms, we're not recommending any be canceled," said Kevin Teale, a spokesman for the Iowa Department of Public Health. "We just want to ensure that people are aware of the risk." The source of the Iowa epidemic is unknown, but Britain experienced a mumps epidemic that peaked last year with about 56,000 cases. The Iowa mumps virus is the same variety, and health officials are still evaluating whether there's a connection. As to its spread in the United States, Iowa health officials last week noted that two infected Iowa airline passengers carried the disease on nine flights. Mumps is a virus spread by coughing and sneezing. The most common symptoms are fever, headache and swollen salivary glands under the jaw. It can lead to more severe problems, such as hearing loss, meningitis and fertility-diminishing swollen testicles. No deaths and few complications have been reported from the current epidemic. Just one person in Iowa developed encephalitis but has recovered, said Teale. 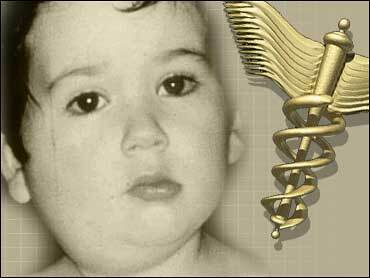 Once a childhood rite of passage, mumps has been on the wane since a vaccine came along in the late 1960s. A two-dose shot is recommended for all children, and is considered very effective at preventing it. About 10 percent of people who get both doses are still susceptible, Gerberding said. That's why there are hundreds of people in Iowa — a state of nearly 3 million — who are turning up with the disease, Gerberding said. Cases have been reported in Illinois, Kansas, Minnesota, Missouri, Nebraska, Oklahoma and Wisconsin. Kansas confirmed more than 140 cases, Nebraska reported more than 100, and Illinois had more than 80 — numbers that dwarf mumps reports in typical years. Most other states affected by the outbreak were still reporting fewer than 50 cases. However, the CDC said it was investigating cases in seven other states. Iowa and Wisconsin officials were seeing cases more often in universities than elementary schools. However, Iowa's Waterloo public school district reported 10 cases of mumps — seven students and three adults. Spokeswoman Sharon Miller said the district is focused on alerting parents. "We send a letter home to parents explaining the situation and facts about mumps so they can be on the watch," Miller said. "School nurses also review immunization records to look for situations where there may be a gap."